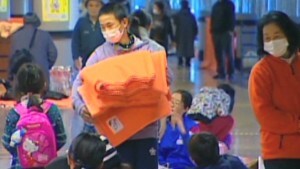 (CNN) -- It's been three years since Japan was hit with its worst-ever earthquake, causing serious damage to Fukushima Daiichi nuclear power plant. 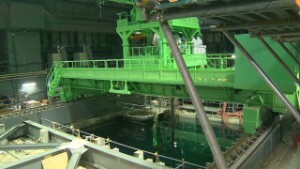 The 9 magnitude quake and subsequent tsunami sent three of Fukushima's reactors into melt-down, shocking the world. Japan, a fully industrialized country with high safety requirements, was facing a nuclear disaster of a similar scale to the deadly 1986 Chernobyl accident, in Soviet Ukraine. As a result, many countries decided to review their energy policies. Before the accident, 442 nuclear power reactors in 30 countries produced 14% of all world's electricity. Nuclear power for the future? This number dropped to just 11% in 2012, as 15 reactors exited service -- mainly in Germany and Japan. Today, 435 reactors operate in 31 countries, and a further 68 are under construction. After the Fukushima disaster, Japan pulled back its nuclear ambitions, ordered large-scale inspections and introduced new safety regulations. All of its 48 remaining reactors have been kept offline and a proposal to restart the program awaits parliament's approval. Germany shut down eight of its oldest reactors almost immediately after Fukushima, focusing instead on renewable energy, and phase-out all of its nuclear power by 2022. Switzerland adopted a similar approach when the government decided not to build any new reactors and phase out its nuclear production by 2034. This was despite a national referendum in which a majority of people voted in favor of more reactors. But not all countries got scared. Both France, which has the world's highest share of nuclear power for its electricity production, and the U.S., the world's largest producer, reaffirmed their positions on the power source. Both countries continue to invest heavily into safety improvements. All four "BRIC" countries are boosting their nuclear power production, with India aiming to supply 25% and Russia 45% of their electricity from nuclear power by 2050, and Brazil planning to build five new reactors by 2030. China is facing pressure to cut its pollution levels and reliance on coal. China already operates 20 reactors and aims to more than triple its nuclear capacity by 2020. Read more: The 'nuclear renaissance:' What went wrong? Editor's note: Due to variations in terminology, various sources quote slightly different numbers of nuclear reactors worldwide. 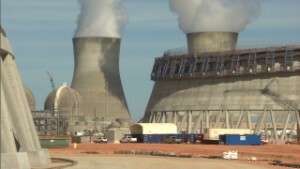 For the purpose of this report, CNN used World Nuclear Association data and considered only the reactors connected to the grid and supplying electricity to consumers as active. With cyberattacks on the rise and here to stay, it's a modern-day challenge for people and businesses to get smarter about preventing them. Airstrikes, rebels seizing control of oil fields, plus a severe refugee crisis are a recipe for market panic. So why are Iraq oil prices stable? Evidence points to pro-Russian separatists as perpetrators of the attack and Vladimir Putin is facing uncomfortable questions, David Clark writes. The biggest Ebola outbreak in history is taking its toll in Western Africa, hitting some of West Africa's most vulnerable economies. Macau has overtaken Switzerland in the wealth stakes, being named the world's fourth richest territory by the World Bank. A British nanotech company has created what it says is the world's darkest material. It is so dark the human eye can't discern its shape and form. American burger joints have sprung up all over London, but how to know which ones are best? CNN's Jim Boulden investigates. At the last football World Cup, it was all about 3D. This time around, it's nothing less than 4K. Exotic animals are becoming a profitable business opportunity for Nicaraguan entrepreneurs. CNN's Rafael Romo reports. Can London take on Silicon Valley? The UK capital promotes its tech stars and shows it can compete with Silicon Valley. Here are five companies that pitch to make it big.